Alene Terzian received and M.A. and an M.F.A. in Creative Writing with an emphasis in poetry. 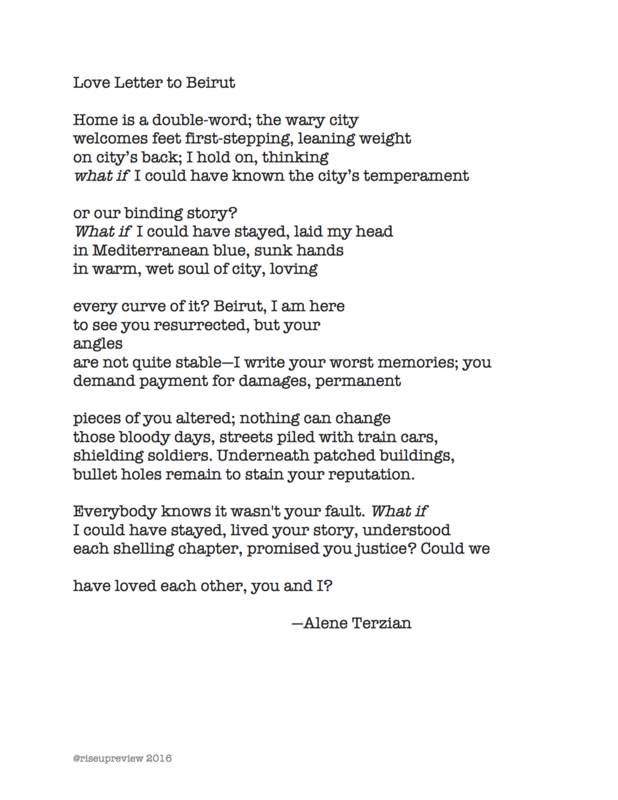 Her first book, Deep as City’s Ache, explores the Lebanese Civil Conflict both environmentally and psychologically. She is currently working on her second collection while teaching creative writing at College of the Canyons. Besides teaching, she is also the faculty advisor of COC’s award-winning literary magazine, cul-de-sac.